Limited quantity of 25 Available! 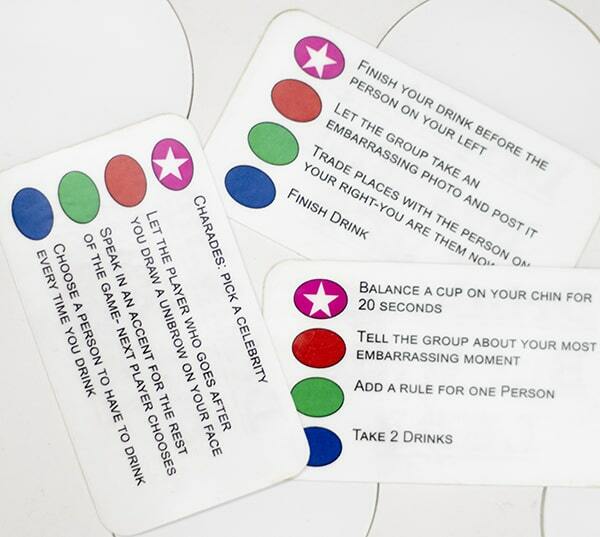 A light up drinking game that combines the best elements of beer pong and king's cup. The game play uses the LEDs to determine what happens when someone succeeds in throwing a ping pong ball into one of the cups. The cups randomly change colors as the game proceeds. You are encouraged to make the game your own by adding new rules, altering the game deck, or, if you feel up to some coding, changing how the LEDs behave. The LEDs are standard NEOpixel strips with a Wemos ESP8266 board serving as a controller. The programming port on the Wemos is exposed and the source code is publically available, so the coders among you are welcome to tinker. This game is great fun and can be enjoyed by even the DD in the group. 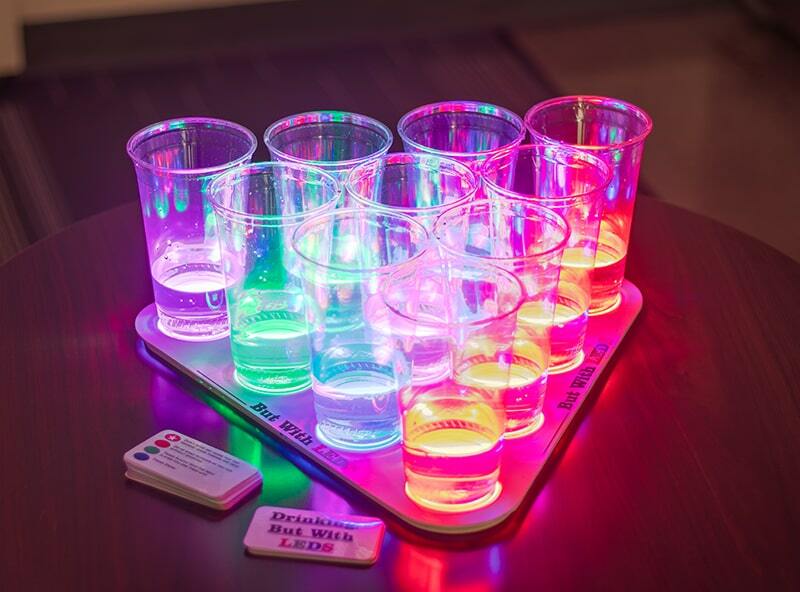 The vibrant glow of the LEDs lets the game double as an eye catching decoration for any party or bar. A portable battery for using the unit on the go. Battery provides 3 hours of game play on a single charge. I have just created the GroupGet for Drinking, But With LEDs!